The results are in! We have gathered up your answers to our survey of all things clutter, and it certainly delivered some interesting findings. Over 4,000 people took part in our study. It’s given us an even better idea of how we view our clutter and what we’d do if only we had more space. 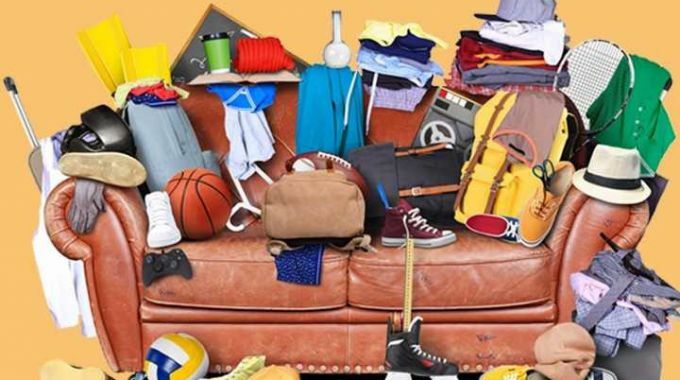 We delved into what the most commonly collected items are, if being untidy makes us stressed out or more likely to have an argument and where in the country was the most embarrassed about being a tad messy. Does where we live make us more likely to have an untidy living space? Does untidiness matter more if you are a man or woman? And what about age? Do we become less bothered by clutter as we get older? All of this was covered in our study, even the topic of hoarding; how many people would own up to hoarding things that aren’t used anymore? Amongst many other things, our survey revealed that Scottish men, between the ages of 25-34 are the untidiest in the UK. This is in stark contrast to women between 45-54 who live in Wales, who come out on top in the tidiness stakes! Our survey discovered that a whopping 80% of people in the UK admit their mood is influenced by the state of their house with a less cluttered living space making people much happier! As expected, Londoners said they were craving space more than anyone else in the UK. With a population of over 8 million it’s not surprising that there’s a growing need for places to put things. 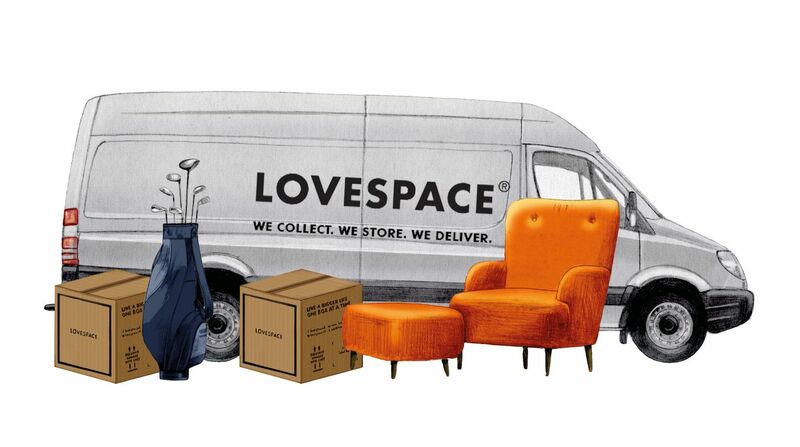 Does it matter what your living space looks like to people who come over to your place? When it came to finding out which parts of the country were most embarrassed by clutter in front of guests, Scottish residents were the least so. If you live in Northern Ireland however, it’s a different story. This area had the highest percentage of respondents who were embarrassed by their clutter. People who were embarrassed by clutter were unsurprisingly the most tidy. If you would rate yourself as ‘seriously untidy’ there’s a good chance that you live in the East Midlands. On our scale of 1-10, with 10 being perfectly tidy, the highest percentage of people who gave themselves a score of 1 came from this area. A rating of ‘seriously untidy’ was at its lowest in Northern Ireland. Most people across the UK rated themselves between a 5 and an 8 on the scale. Overall, nearly half of people answered yes to being embarrassed by clutter in their home, and it turns out that women between the ages of 35 to 44 are more likely to feel this way. Interestingly, although younger Scottish men admit to being untidy, they are also less embarrassed by their clutter, with only a quarter admitting to being concerned when they have visitors . . . maybe it’s time to consider your guests guys! Of the huge 81% that said that a tidy up improved their mood, women were also more likely to have their spirits lifted by a tidy house than men. Women were additionally inclined to be stressed by clutter, a significant 61% of all our survey takers answered yes to finding it stressful. One of our questions tackled the topic of how often the clutter in your space causes an argument, if at all! 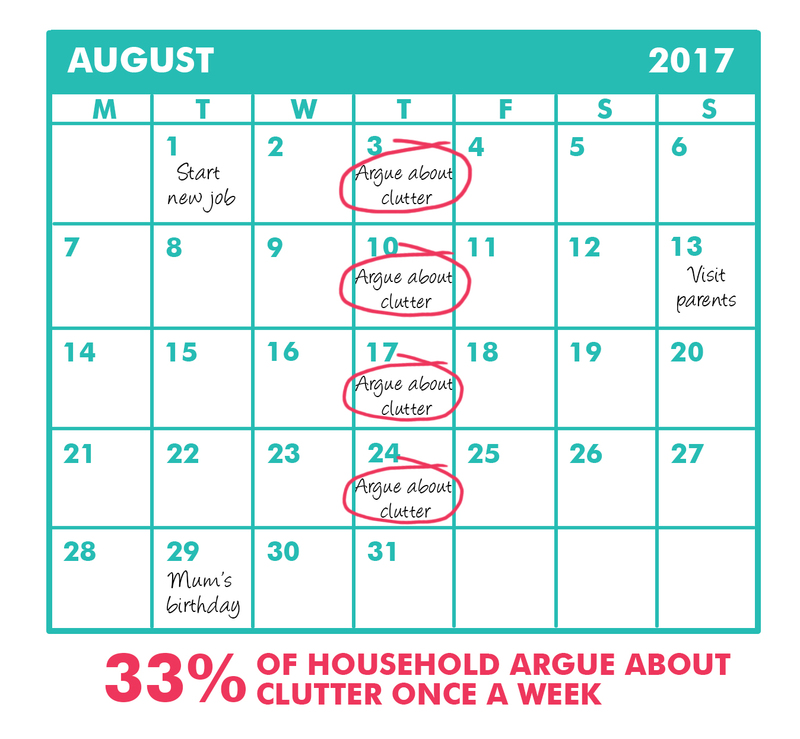 A whopping 61% of households in the UK argue about clutter at least once a month with over a third arguing every single week! Perhaps it’d be better to set about tidying up the clutter . . . much less stressful than regular arguments! We also took a look at the things that we keep in our homes because we can’t bear to throw them away. There were plenty of usual suspects. Stamps, newspapers, magazines and bottles were some of the most collected items. There were also some exceptionally curious, if not downright weird responses, including people collecting toenails! If you’re wondering what makes collectables so appealing, we have some fascinating theories here. 36% of you said you have books at home you no longer use but can’t bear to throw out, 35% have CDs and records, and 33% said clothes. In general more than 95% of people say they have items they can’t bear to get rid of, yet only 24% consider themselves hoarders. Technically, not being able to get rid of things you no longer use or need is hoarding, so are we a nation of secret hoarders? In an ideal world, with all our clutter under control, we thought it might be fun to find out what you might do with the extra space. The most popular result was extra storage, and the highest number of ‘storage’ responses came from men aged between 45-54. Coming in a close second was ‘office space’ and ‘study’, which could be due to the increasing number of us wanting to work from home. As well as the obvious choices for using additional space; a guest room, a home office or nursery, there were also some more specific suggestions mentioned. There was a cinema room, a zen contemplation area and even a desire for space to keep more exotic pets (turtles, parrots and even bees were among the answers). When it comes to clothing, we already know that it can be tricky to navigate what to store, keep or throw away, so much comes back into fashion. But a lot of us it seems aren’t making the most of our possible outfits. 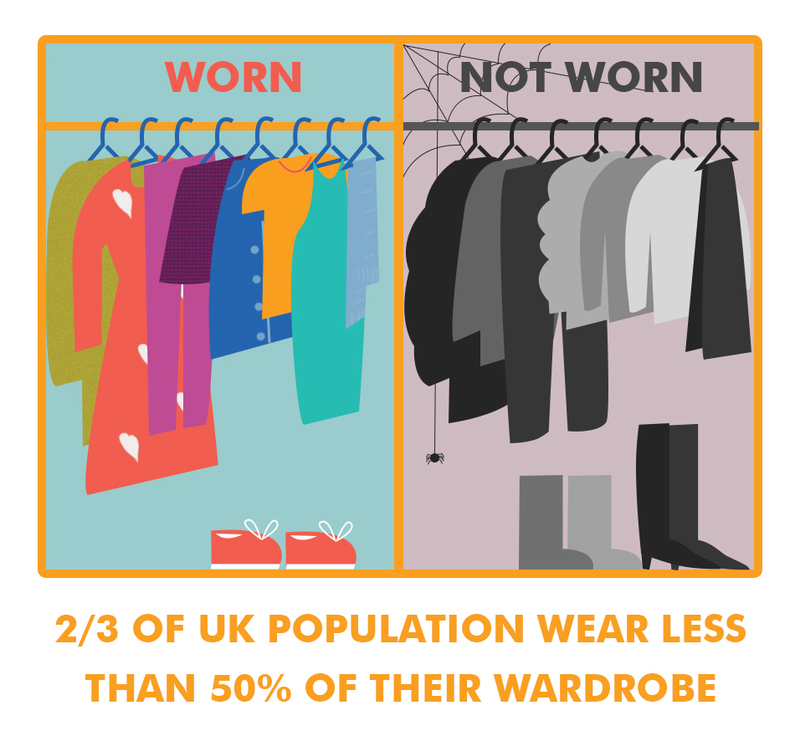 A staggering two-thirds of UK respondents said that they’d worn less than 50% of all the clothes in their wardrobe in the last 2 months and men are more likely to wear more of their wardrobe. We definitely need to start streamlining those wardrobes! 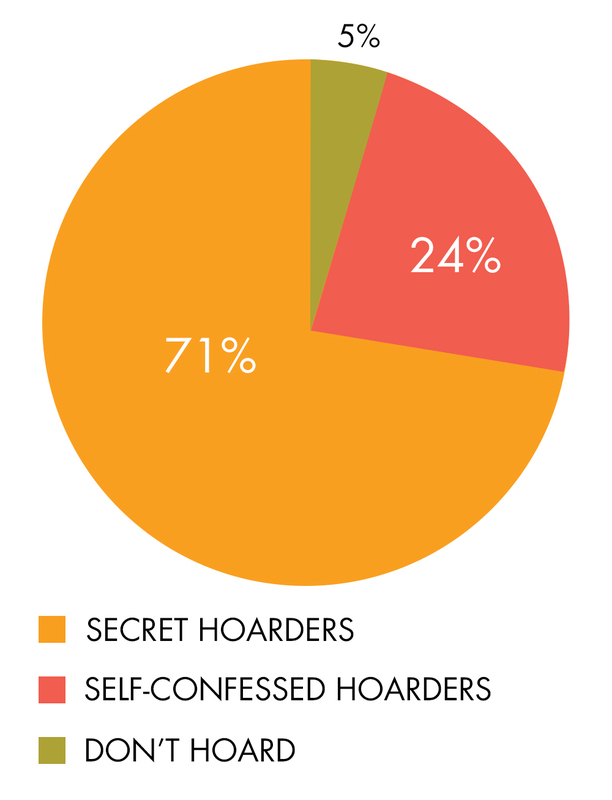 Perhaps the most interesting topic covered in our survey is hoarding. 24% of respondents would consider themselves to be hoarders and it seems that the older we get the more likely that is. People over the age of 45 showed a much higher percentage of respondents who consider themselves to be hoarders. In terms of where you live and how likely it is that you consider yourself a hoarder, Wales, Scotland and the North East had the highest percentage of self-confessed hoarders, with the lowest numbers in the South West, West Midlands and Yorkshire and The Humber. So, there you have it, clutter is so much more than just something we all have from time to time. It is clear that there is a huge difference between ages, genders and locations – how you interact with your things is very different to someone else. We hope all the information we found out provides you with a new perspective on clutter, or at least some fun facts you can share with your friends next time you’re comparing who’s got the messiest bedroom!